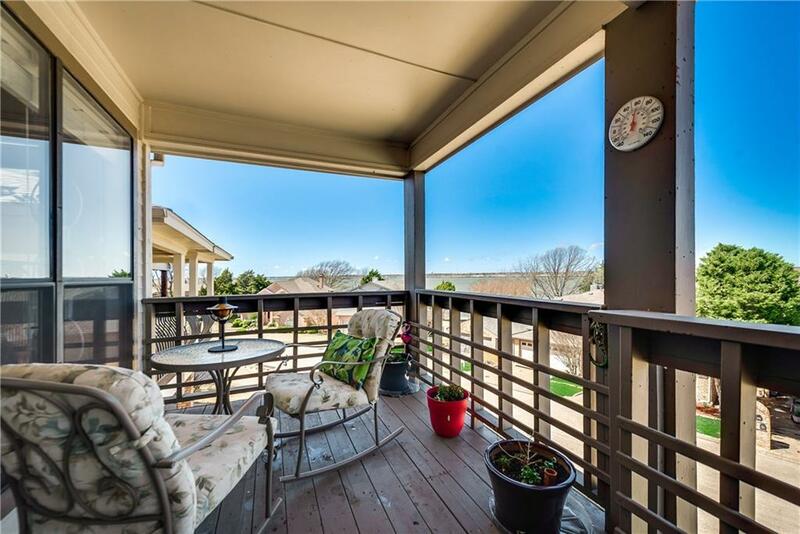 Fabulous townhome with lake views located in Chandlers Landing. 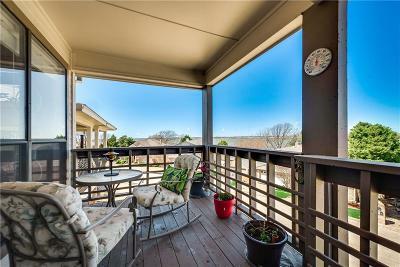 Watch the sunsets on Lake Ray Hubbard from your 20x8 balcony. Many updates, including balcony reinforcement, wood floors in main living areas, granite countertops, SS appliances and updated baths. Gas oven-cooktop and vaulted ceilings. Separate pantry, gas fireplace, extra storage above garage. New roof, 2014. Huge master suite with sitting area. Lower deck with garden area. Two living areas, 2 master closets. Refrigerator, washer & dryer remain. Community offers guarded entrance, 24 hour security, park, playground, 4 ponds, 2 pools, beach, tennis and restaurant-event facility, The Landing. Life is wonderful in this resort community!